Have you ever been the presence looking through someone’s eyes from the inside? I have. I don’t know how it happened, exactly, only that I found a door, decided to walk through it and found myself inside someone else, looking out at the world through their eyes, sharing their thoughts and affecting their interaction with the world in small ways. It was strange at first, almost like a ride where you just hold on for dear life and wait for it to be over. It eventually came to an end. I’m not sure how long it lasted, but after a time, I was spit out onto the highway in some brush on the outskirts of town. It was a long walk back. It was almost stupid in a way, and I was never planning to do it again, but I couldn’t stop myself from thinking about it. There was just something about being inside someone else. The closeness. The sharing. How can you ever move on from that? How can you ever live your lonely, solitary life in the same way again after experiencing something like that? The answer is you don’t; at least I didn’t. I finally went back to the door and stepped inside. It happened with more and more frequency and my life started to fall apart. I couldn’t hold down a job. I couldn’t even breathe. I just wanted to be inside, living someone else’s life; watching the world through a bird’s eye view. Their view. If it sounds strange, imagine how it feels. But what I wasn’t prepared for was seeing a presence in someone else’s eyes. It took me a minute to realize what I was seeing. We were two beings inside people looking at each other; acknowledging each other. It was like two puppet masters looking at each other while they manipulated their puppets across the stage in a wild frenzy of movement. The possibility of other doorways had never even entered my mind. Imagine me, believing mine was the only doorway. How strange. How vain. Even more strange was that I didn’t think anything of it. I took it in stride. We’re all walking through doorways, melting into other humans, living life inside them, through them, sometimes for them. And so it went, hour by hour, day by day. Sometimes I lived my own life. Sometimes I walked through the doorway and spent days, weeks, months even, depending on how long I could hold on. The more I did it, the more control I gained and the longer I could stay. Sometimes it was a burden to leave and I had to actually force myself to fall out. The last time I went through the doorway as I knew it, I was inside for a year. Everything changed. I no longer wanted my own life. I wanted to share life, only I wasn’t necessarily a welcome visitor. I think the host (as I began to think of her) started to realize there was a presence inside her and she fought me. Sometimes I won. Sometimes she won. And we battled in a graceful dance before she finally won for good and I was booted out. No longer having any sense of my own reality, I immediately ran back to the door, only it was different, changed. I didn’t care. All I knew was I wanted to get back inside. It was the only way I felt whole. The door was bright red and it had shrunk. I had to squeeze through the door and when I did, I fell. I fell for a long time. At first I was scared, but eventually boredom set in. It could have been days later, but it was probably only hours, when I didn’t so much land as I floated onto some long grass in a huge field. I sat up and looked around. Everything had a gray quality to it, the sky, the tree in the distance, even the air felt different, strange, and I wasn’t sure I could breathe until I did and then it was okay. I heard voices but not in the distance or even next to me. They were muffled and it took me a few more minutes before I realized they were coming from inside my own head. “What is it?” one voice asked. “I think it’s one of them,” another responded. I shook my head. It felt so strange. “Who’s there?” I said out loud. 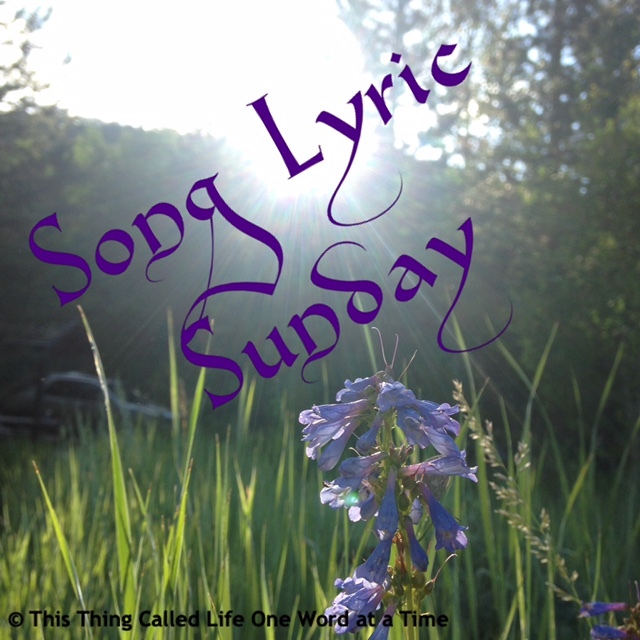 My voice floated on the breeze and carried out into the field where it turned and came back so I heard it a second time. An echo, but really weird. “Of course I hear you! Where are you?” I snapped. The same weird echo carried my words back to me, only this time I could see them. I think the words were actually floating on the breeze. I shook my head again and squeezed my eyes shut. “I don’t think that will help,” the more reasonable voice offered. “No? What should I do then?” I kept my eyes closed and endured another repetition of my words. I think it’s working then. Can you please tell me where I am? I honestly didn’t know, but whatever I thought must have registered as affirmative because the voice continued. Well, why don’t you just find another portal and go through it? That was met with silence. I guess they didn’t understand sarcasm. What happens when we make it back? Will you leave? At first I was terrified, but after thinking about it, I realized I would have what I was trying to accomplish before I went through the red door. I wouldn’t have to be alone anymore. And I would have it without worrying about angry hosts and portals and doorways. They would stay with me until I was gone. It wasn’t much of a decision. I was so excited I said “yes” out loud and had to listen to it again a few moments later. I rolled my eyes again and stood up. Somehow, I hope that doesn’t happen. The voice didn’t respond to that either. Maybe it was better if I was blissfully unaware. Maybe it would be different. If I was already different than other humans that had come here, the voice probably didn’t know any better than I did what would actually happen. It didn’t matter. Even if the voices were silenced once we returned, I still knew they were there. I knew I wouldn’t be alone. I followed the voice as it led me to a portal, back to my world and a new life. This was written for Chuck Wendig’s flash fiction challenge where this week we were given a “this story meets that story” mash up and I randomly rolled Being John Malkovich meets Alice in Wonderland. I wasn’t even sure this was something I could do, but it’s funny how things just happen when you start writing. Although, I have to admit, there was a point yesterday where I thought this was all crap and I almost gave up on it. Luckily, I have learned to walk away and come back to things and I found that it wasn’t half bad. I hope you enjoyed it as much as I enjoyed writing it. Turns out, I actually had a lot of fun. 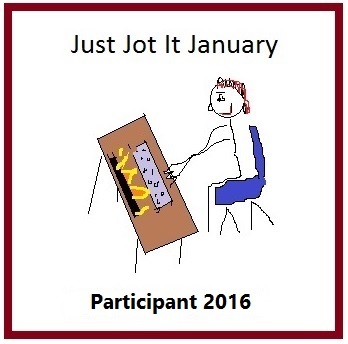 This is also part of Just Jot It January hosted by Linda G Hill. I couldn’t read fast enough, wanting to know what was happening, and what was coming next. What a wonderful story!! I thoroughly enjoyed every bit of it. Thanks for the beautiful talent that you have. Love you sweet girl. I’m so happy you liked it! Love you, Mom!